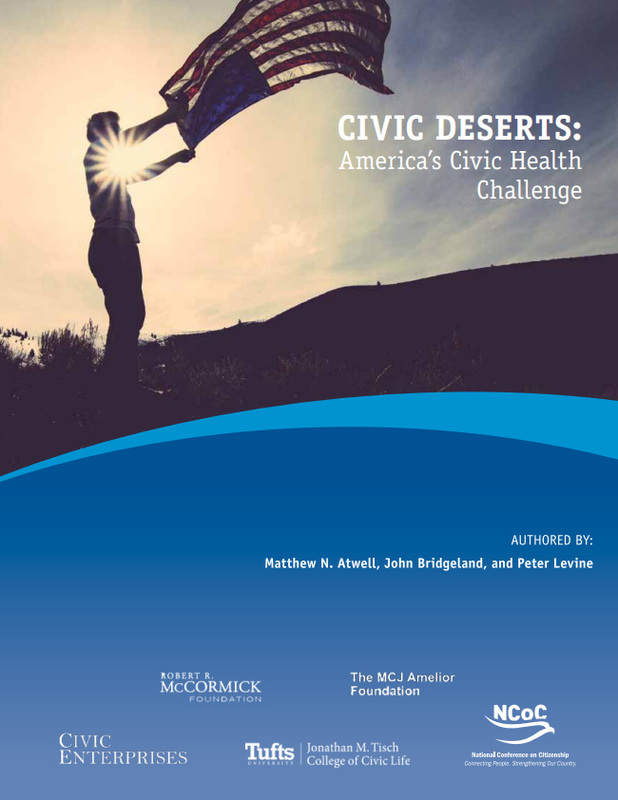 In October 2017, at the National Conference on Citizenship, Tisch College Associate Dean for Research Peter Levine and co-authors John Bridgeland and Matthew Atwell released "Civic Deserts: America's Civic Health Challenge," a new report that details the decline in opportunities for civic engagement in America. The report takes its name from a concept, civic deserts, coined by CIRCLE Director Kei Kawashima-Ginsberg and Senior Researcher Felicia Sulivan to describe places with few opportunities to participate in civic life. Based in part on data from the Understanding America Study, which is maintained by the Center for Economic and Social Research at the University of Southern California (USC), the report outlines that civic deserts are increasingly common in the United States, and that just 28 percent of Americans say that they belong to any group that has leaders whom they consider both accountable and inclusive. In particular, four large-scale, integrating civic institutions built up during the 1900s have shrunk significantly since the turn of the century: churches and other religious congregations, unions, metropolitan daily newspapers, and political parties as vehicles for grassroots participation that are sustained beyond specific campaigns. Volunteering in the United States has fallen significantly from nearly 30 percent of the population in 2005 to less than 25 percent in 2015.